Have you ever felt like there’s not enough time in the day to get things done? Do you feel like you’re just going through the motions, trying to keep up, and never making any real progress? One way you can take charge of your time is to use a weekly plan. I created the one shown above, and you can download it for free at the end of this post. 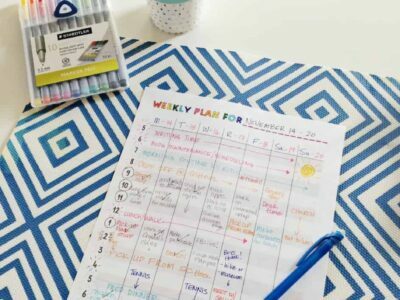 Using a weekly plan has helped me realize how I spend my time, where I can find more time, and how much time I’m wasting. I first read about weekly planning in a book called Tell Your Time by Amy Lynn Andrews. The book is an excellent resource if you’re looking for more ways to be intentional and efficient with your time. Before you begin filling in your own weekly plan, remember that being flexible is super important. 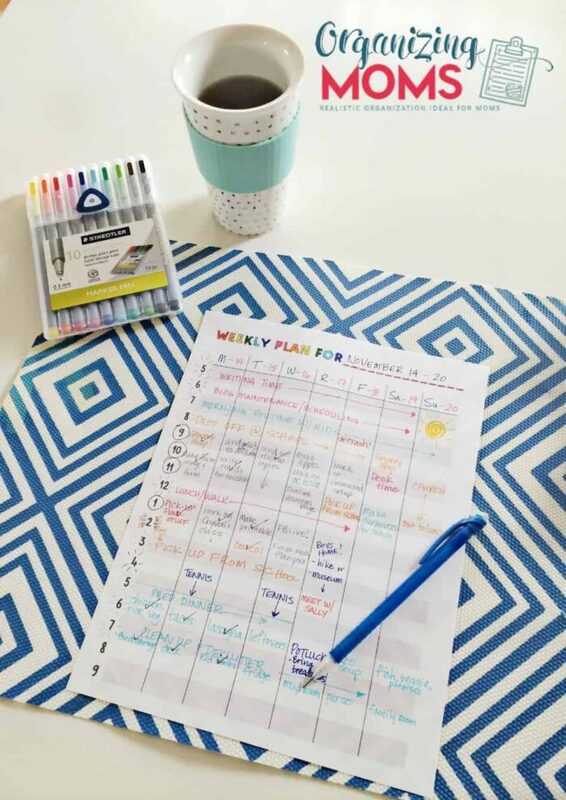 Without flexibility and the willingness to roll with the punches, this weekly plan will become more like an obligation than a tool to give you freedom. At the top of your sheet, fill in the days of the week. You can start on any day you want. I also like to add in the dates as a reminder. Write in any outings like work, school, birthday parties, or appointments. Include drive time, getting ready time, and a nice buffer just in case! Fill in the time you spend cooking, cleaning, and doing grocery shopping. If you have any regular errands, add those in too. With the remaining time, fill in the chart with tasks related to your goals. 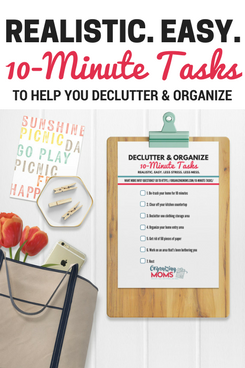 One of my goals is to declutter our home, so I have that scheduled in for 10 minutes a day as part of my evening routine. Don’t over schedule! Give yourself some time margin and time to rest. Be flexible and willing to adjust. If this whole concept is new to you, use pencil for the first few weeks so you can make changes. If you’d like to give weekly planning a try, you can download your own copy of the printable PDF by filling out the form below.